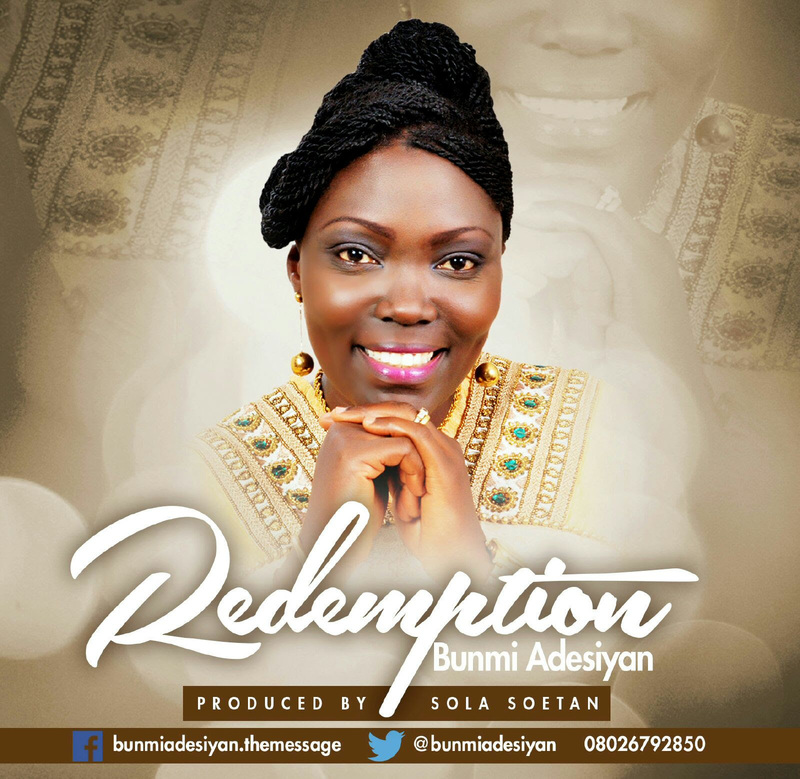 Nigerian Gospel music arc Bunmi Adesiyan has slated Feb. 1st to release her most awaited single “Redemption”. The song speaks about God’s unhindered love that brought about man’s salvation. The Gospel soloist with her melodious voice proclaimed the inability of man toward salvation until God divinely made a way. Here is a beautiful tune produced by Sola Soetan to speak to you as we journey into February. Bunmi Adesiyan is a Nigerian female contemporary gospel singer, recording artist, song writer and composer. Bunmi was instructed by God to declare the message of redemption through singing. Haven been in the ministry, she has released some singles which include ” The Message “. She is happily married with children. With the memo of the song, she says; “This song will strengthen your faith to know that with God, all things are possible. To the font, Bunmi believes that, when you accept Jesus into your life as Lord and personal saviour, you will be entitled to “Redemption blessings” that make you overcome all challenges. God is able to do exceeding abundantly and above “ALL” we ask or think” She concludes.